As governments around the world tighten their belts, we bring you the expanding universe of ultra-thin computers and invite Intel Corp into our midst. A regular and vocal member of the Web Wednesday audience, Peter Dingle will be sharing with us the future of computing, be it tablets, ultra-thin laptops, brain plug-ins or holographic touch screens. Peter is the Interactive Marketing Manager for Intel in APAC so has plenty of great and inside-out stories to share. 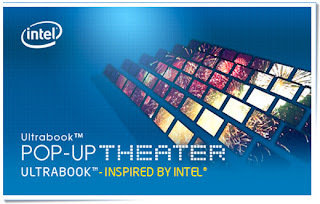 Check out Intel's latest creative move, "Pop-Up Theatre", 60 ultrabooks, choreographed to create the first human digital billboard. We're keen to see this pop up in the bustling streets of Hong Kong! Keep your eyes peeled! Beware! More importantly, be there! Sign up on our Facebook event invite. Our 56th social mixer will take place at Bisous, 9/F, LKF Tower, 33 Wyndham Street, Central, Hong Kong. Doors open at 6:30pm and burlesque dancers hit the stage at 9:30pm. The talk will start around 7:15pm so come early to mix and mingle with the 150-200 other digerati. Please do spread the word, as we have some great gifts to give away and some even more memorable ultra-phat people for you to mingle with!